Our potential growth stock candidate is working well so far. 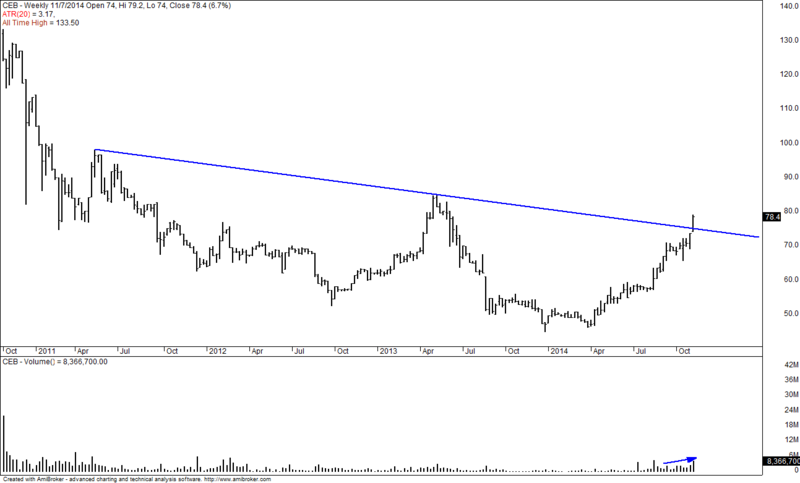 Here’s the latest weekly chart, breaking out of a downtrend line. Currently closing the week at 78.4. 52wk high is at 79.2. MEG could be starting a trend and could lead this sector. 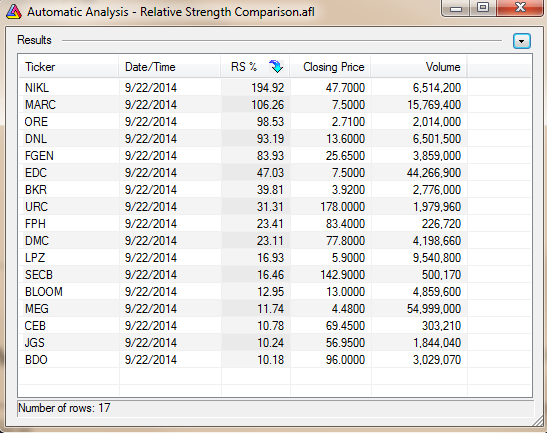 ALI and CEI are looking good with a possible volatility contraction. RLC, SMPH, VLL. nah. sideways. No need to analyze and listen to rumors and speculations. Just listen to price action and volume. No need to be afraid to buy at the highs. If you are wrong, just sell at a pre-defined stop loss price. Closing price above MA(50), MA(150) and MA (200). 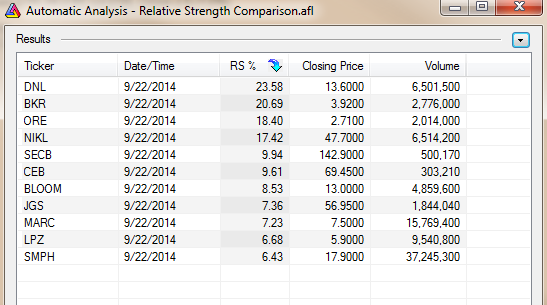 Relative Strength (20-day) rank. 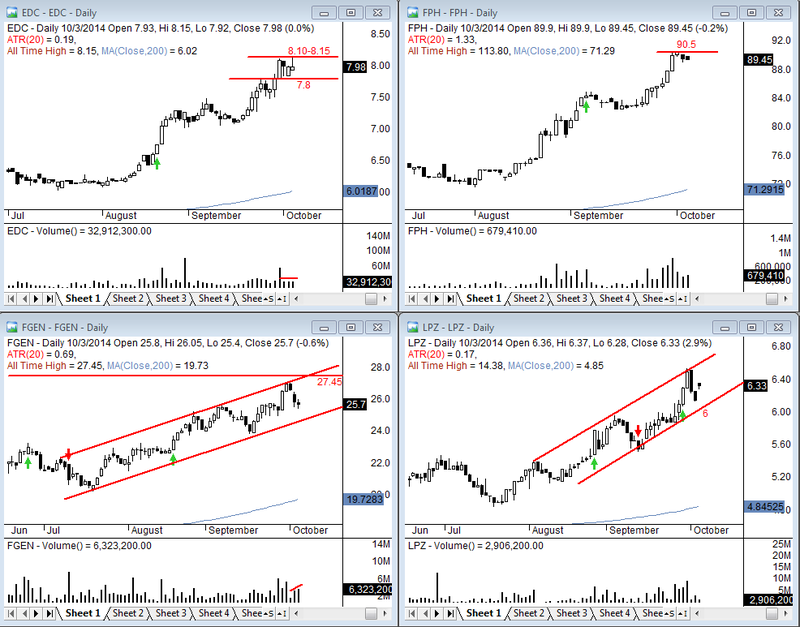 These stocks show short term momentum and leadership. Relative Strength (200-day) rank. These stocks are the long term leaders. MARC’s short term momentum is losing. ORE is trying to catch up short term. 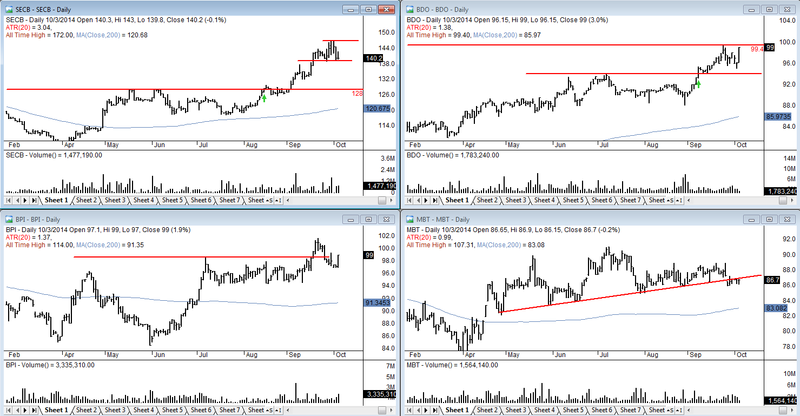 SECB, CEB and BLOOM – short term momentum is strong. 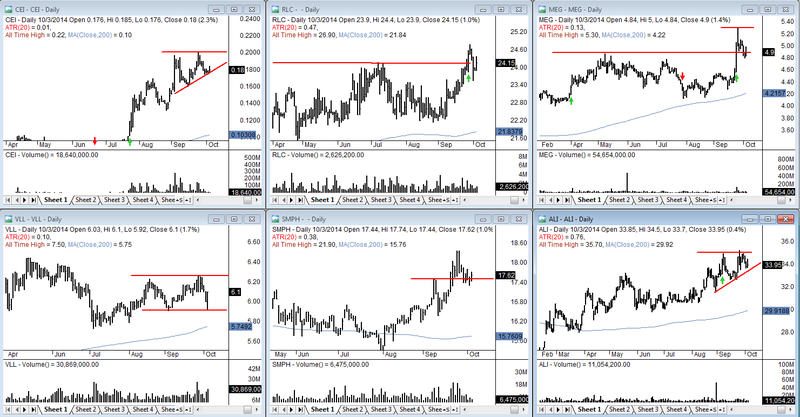 They look to be starting to rally from their respective bottoms and making new 52wk highs in the previous weeks.